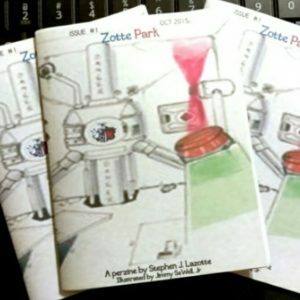 This is the second issue of my perzine, Zotte Park. Originally attempted to be part of the 24-hour Zine Thing challenge, this issue contains fuzzy memories of creativity long-passed. 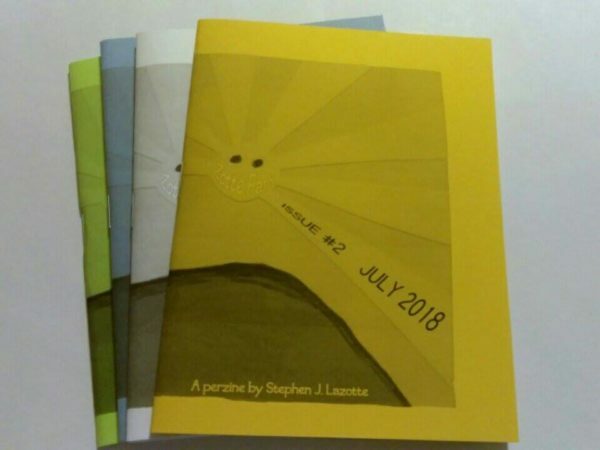 This is the second issue of my perzine, Zotte Park. Originally attempted to be part of the 24-hour Zine Thing challenge, this issue contains fuzzy memories of creativity long-passed. It also contains a memory by my best friend, and artwork by another best friend. This quarter-size issue is 24 pages, cardstock cover included. B&W with various coloured covers.